Above left and right. 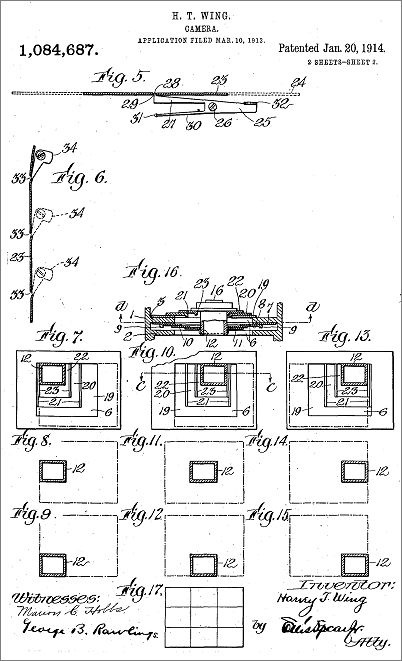 Patent pages 1 and 2 illustrate Harvey Wing's s unique multiplying camera design. 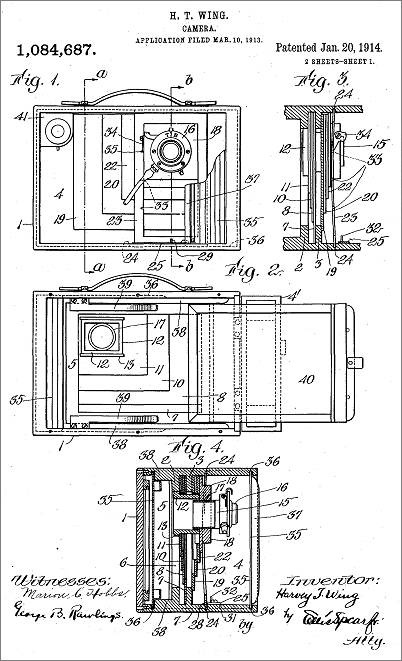 The missing part of the prototype camera on this website is illustrated on page 2 as Figure 5.